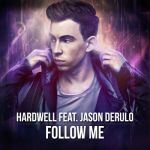 ▒ Inderdaad een doorsnee zaterdagavonddansplaat uit januari 2015 van: "Hardwell & Jason Derulo", maar in mijn oren helemaal niet verkeerd !!! Vandaar ook dik voldoende ☺!!! I feel like the reviewers on here have been pretty harsh on this with their ratings. While not being anything special, it isn't too bad.<br><br>One thing I'd like to say is that I think this is an interesting collaboration. I just wonder how it came to happen. Die Hardwell is veel te overschat. Commerciële rommel dit. Commercieel is op zich niets mis mee, maar dan moet het wel goed zijn. dit is erg matig. Hardwell heeft al veel beter gemaakt. Erg goede single van Hardwell weer, maar het laatste refrein klinkt qua zang van Jason toch ineens iets te afgeraffeld. Zal wel aan mij liggen, maar daardoor kom ik toch net niet aan de zes sterren. An interesting collaboration that works. His voice works this song and because of that, the drop compliments it. I can understand some EDM nuts getting mad at this song but it' say legitimately good song. I don't know who Hardwell is but what I do know is that the modern day prince of generic-ness continues to show why is is getting closer to snatching the title from Flo Rida. Another disposable, interchangeable, passing through the ears track to add to the pile of stuff of this genre. I feel like this is just the result of slicing pieces from 842 other songs and sticking them together, probably with Clag. This offers utterly nothing new to the world. Me calling things generic and/or worthless is becoming tired but this is incredibly.......common and insignificant. Well now this was just inevitable. The verses are horrifically boring, but the beat drop is more a case of being unoriginal and the structure is rather predictable. There are certainly worse things in the world but this style continues to become more inessential for me and I don't see that changing for the better anytime soon. This could be huge...<br><br><br>...in 2013. Oh mann klingt wie 1000 andere Songs auch, totaler Scheiss! Hardwell und Jason Derulo sind schon solo für Ramschware bekannt - kein Wunder, wenn's dann auch nicht im Doppel klappt. Wat degene boven mij zegt. Toch is het een erg goed nummer, 4,5 sterren, afgerond 4 sterren! Kann man sich anhören, muss man aber nicht!